Each workout will be progressive and recorded to track progress. Photo review of your physique progress on a monthly basis. Building good connection with you is our priority. We hope to inspire you with our energy level and push you through the workout that will be tough and do-able. This will be done before and after workout to enable your muscles to work more effectively and help decrease risk of injuries. Guidance on diet and get your eating habits on track. Kelyn had begun her fitness adventure since 2012. Being underweight for many years, healthy diet and exercise have helped her gain the necessary weight, from 44kg to 54kg in 4 years. Started out doing 2 times of cardio per week to 3 times and then 6 times a week. Did mostly jogging, sprinting, swimming, cycling, muay thai and HIIT (high intensity interval training). That was back then when she thought cardio was the way to lose her skinny fat on the tummy as people always say "weight training will become bulky and manly". Through HIIT, she slowly picked up body weight exercises like push ups, pull ups, headstand, etc. From not being able to do even a single female push up to be able to do proper standard push up. From only 3 inclined pull ups in 2014 to negative pull ups to assisted pull ups to 17 proper pull ups as of 2017. Over the years, her fitness goals changed. She started to want more than just having abs. She wanted stronger back, then toned arms, then legs, and now to be fit and healthy through eating well, weight training and cardio. ​ "I'm glad i didn't stop just because back then they told me lifting are for guys or would make me manly. It's was one hell of a best decision I made. It gives me drives and goals. Kept me positive and moving. Help me eat healthier and see life in a way I never thought I would. Best part of all, I'm able to help out friends and family physically unlike back then. I still and will always believe in the idea of "if you believe you can and you will." Be crazy enough to dream and make it happen. Why should we settle for what others want and not what you want? If I can do it, you can too!" 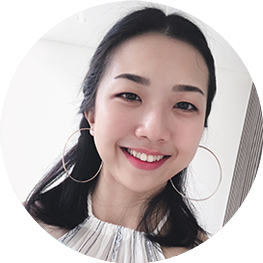 Kelyn's ambition is to aid people who are facing problem in achieving their fitness goals and also inspired people to lead a healthier lifestyle. Through Naked Strength she hope to provide aid and guidance for people to cultivate a healthier lifestyle for a better tomorrow. Kelyn is a super patient and encouraging trainer. To be honest, I have never work out consistently in the gym and always reluctant to try strength training. Kelyn makes me comfortable and ensure my form/ posture are correct. She's a cheerful and friendly trainer and you will never dread going to the gym or training with her. I am also thankful that she's very understanding, Kelyn will always match her schedule to my super hectic work schedule and always travel to my convenience. Kelyn provides detailed explanation and ensure my form/ posture are correct. She is so positive and motivate her client to never give up. I love training with Kelyn because she makes training fun and enjoyable. My progress is super fast, way faster than I expected. Within a month, I can see muscles building up around my arms and thigh. Definitely recommend such a good trainer to my friends. Keep up the good work! She is Super strong !!! She always pushes me to make sure I have correct form and hit depth as well as able to do more sets and reps. She's very patient and kind which makes me wanna come for training more ^.^ she won't let me give up either bc I easily give up T.T and she always tells me how to improve. She's very friendly. Even when I don't train with her, she gives me tips and helps me plan my subsequent trainings! :)) Likes everything about the training!!! Recommended! She's pretty awesome. I like that she is friendly and relatable. It feels like I am meeting up with a knowledgable friend for a gym session and not with an instructor which is the best part about it. Its well thought out. It's a challenge that I aspire to overcome. And we aren't doing things just for fun or because everyone mainstream is doing them. Because she is a perfectionist and I think when we start out weight lifting form is important, her emphasis on it is excellent. Recommended! Kelyn is super friendly and kind!!! Encourage me in everything be it carrying the weights or my meals hahaha she even offered me a ride back home because i forgot to bring my shorts along?? Sososo kind!!!! Funny and she hums to any song being played at the gym?????? For training, can i say i like everything? The trainer, the training, the sweats, the few tiny blisters on my hands, cramps and etc.. I am happy with my progress! Not so skinny like before and i can still see whats going on there. i just need to eat alot das all?? She would try to squeeze u in her tight schedules, she will also push u to do better every session and willing to travel to your preferred gym destination. Recommended! Kelyn is always trying her best to push me even when I think I can't go further. She focus alot on form which is something I really like about her. Throughout all that training and sweat, our friendship blossomed. Im really glad I made the choice to choose her. She always push me the exact amount I needed to be pushed. 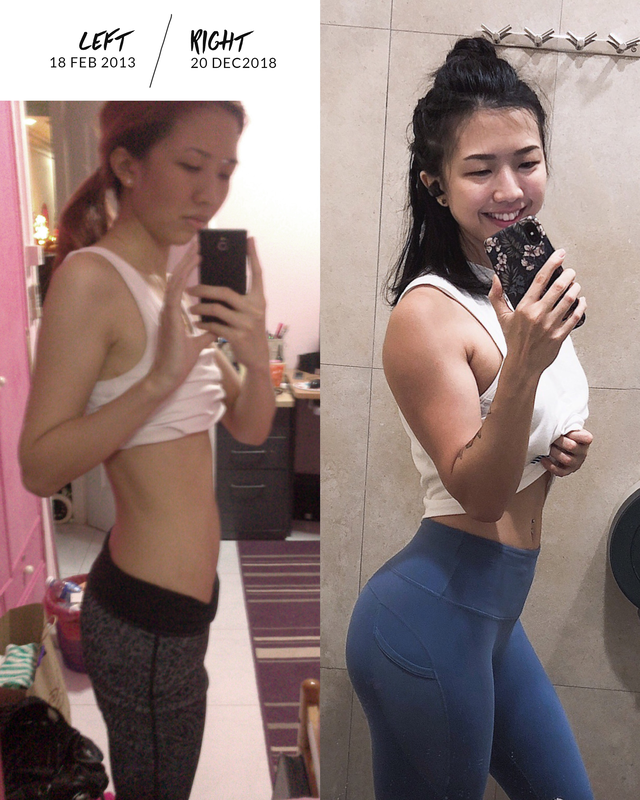 ​Im happy with my progress as she's constantly encouraging me especially when I want to give up. She would show me my progress to remind me how far I've come and that keeps me going. My mum noticed my progress too and even asked me to intro Kelyn to her. Also, she is really patient and encouraging. Definitely recommended! Great trainer. Very attentive! Training are ​well thought out and structured. Happy with my progress. Recommended! Kelyn is an excellent trainer. She is very organized and good at keeping me motivated during the sessions. I find our session very effective. Kelyn and I come to regural session: one for focusing on upoer body and the other mainly for Leggs. Already my husband and my friends tell me my body looking better than before. In a month with Kelyn, my body started tuning up. Im happy with my progress. Again in a month with Kelyn, I feel already difference in my body. That is the biggest reward and makes me keep pushing it with Kelyn. I recommend her to you as she is very competitive and excellent trainer. ​Trainer is ​cheerful, easy going and professional. I like that the training has no pressure. There was improvement seen every time! Recommended! Kelyn is a friendly and approachable trainer. She never fails to correct me regarding my postures when i did wrongly while doing my reps. She also gives me tips regarding my meals as i always bindge on snacks and junk food. I like it when i am taught the proper form of lifting weights as i always wanted to learn how to use weights when i am in the gym other that attending aerobics and yoga classes. Her training focus more on strength training which is what i am looking for. Im happy with my progress! Never did it came across my mind that i would be able to lift weights at a different level. Definitely recommended! Price are reasonable, she wont push us to buy package like those mega gyms pt that is so persistant all the time. She is nice and always willing to answer my questions and also a nice person to talk to. ​© NAKED STRENGTH 2018 , ALL RIGHTS RESERVED.